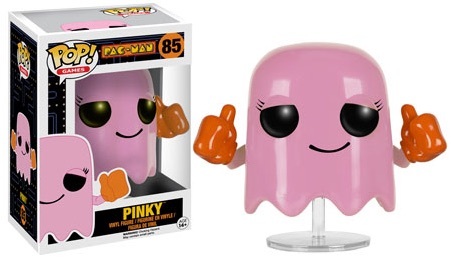 The arcade classic comes to Pop! 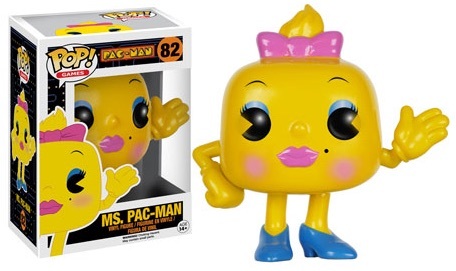 with 2016 Funko Pop Pac Man vinyl figures. 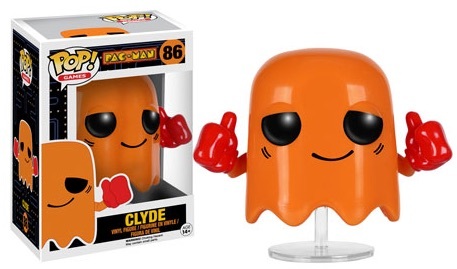 The line includes options for Pac-Man, Ms. Pac-Man and their persistent ghost enemies. 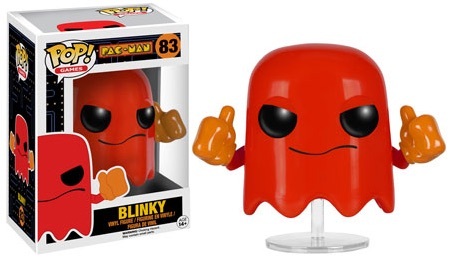 In addition to the main figures for Pac-Man and Ms. Pac-Man, the release includes Blinky, Inky, Pinky, Clyde and Blue Ghost. 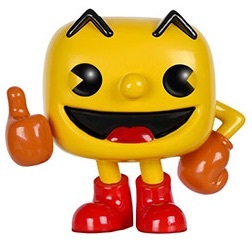 Although the Pac-Mans have feet, the ghosts are situated on plastic stands. 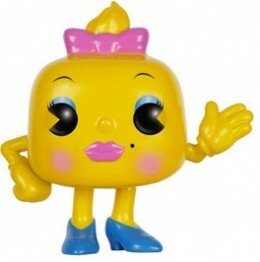 Pac-Man emerged in 1980 as a new arcade game and was a huge success. The premise is simple and users must navigate a maze as Pac-Man or Ms. Pac-Man and attempt to eat the many dots while avoiding the ghosts. An icon of the era, the legacy continues despite the outdated gameplay. 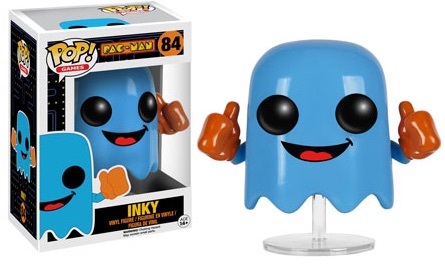 Numbered as part of the Pop! 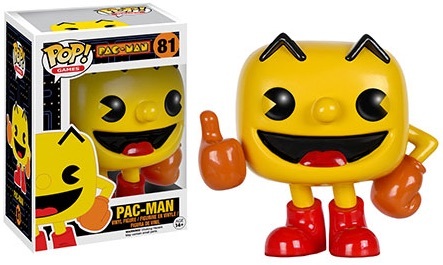 Games releases, the Funko Pop Pac Man figures are each around 3 3/4" tall. 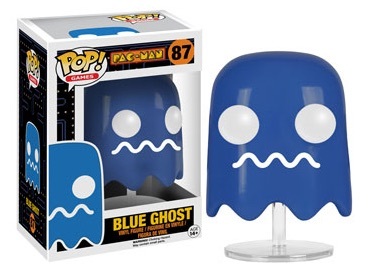 Funko Action Figures POP Games Pac-Man Blue Ghost Pop Toys "